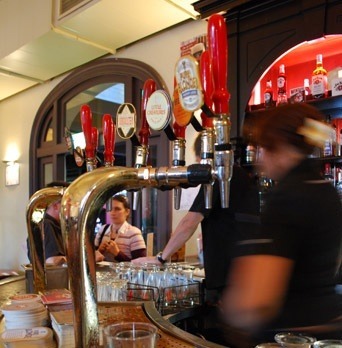 Pubs have long been an ideal place to meet people and a centre of social activity in Australia. They are also popular for food, entertainments and drinks. This is my number one favourite. Set inside what looks like a huge converted boat shed, Little Creatures is located right on the fishing boat harbour in Fremantle. The brewery is open and visible to everyone. The beer is poured fresh straight from the tanks to your glass. It doesn't get fresher than that. The food is also amazing. They serve delicious starters such as marinated octopus and they have a wide range of pizzas that are just scrumptious. Located in North Fremantle, Mojos bar and cafe is Freo's original music venue. If you haven't been down there, you can't be excused. Specially since this little bar is open seven nights a week, and usually has something for everyone. Live bands playing different kind of music from rock to reggae every night. Opening daily: 12am – 3pm/6pm – 10pm. A great traditional 1930's beer pub located right in the heart of the city. 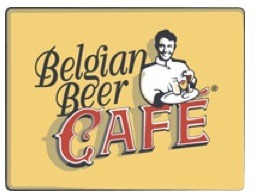 Here you can enjoy the best Belgian beer there is to taste and read through the bar menu which has excellent choices of delicious food including the massive clay-pot of mussels. Simply delicious with a beer. Cap S' as they call it, is very famous in Nedlands, especially for UWA students. Located not far from the university, Captain Striling offers a bar with a sunny courtyard in summer and open fires at night. There is an area for intimate dinners for couple or dates. The bar area also has comfy sofas and pool tables. The cocktail menu has a large range of wines and a selection of premix drinks as well as beers. There is warm atmosphere at Cap S and I reckon it is a fantastic place to get together and hang out with friends. This bar is Northbridge's icon. 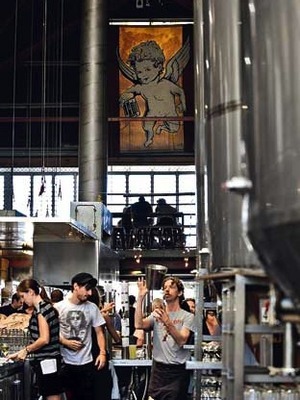 It offers nice modern Australian food and has the usual good drinks you find in pubs: Beer! The Brass Monkey even has its own brew, the Brass Monkey Stout. The venue has a diverse range of bars, there's also a nice balcony upstairs and an indoor terrace to enjoy a few beers after work or have drinks before going out. For a couple of years now, on every Friday afternoon, someone will send me a message with simply one word in it: "Scotsman's?" It is one of Mount Lawaley's famous urban cool bistro, mixed with a hint of English pub style. Even though it doesn't have that classy look and isn't the dining type of place, they make a delicious Gnocchi in blue cheese that I recommend. This hotel is seriously stylish with a mix of ultra chic, class and just pumping. Subiaco Hotel has two different bar, Bianca's Bar and the Cocktail Bar, where you can enjoy different drinks. It also offers a mouthwatering menu for you to enjoy. 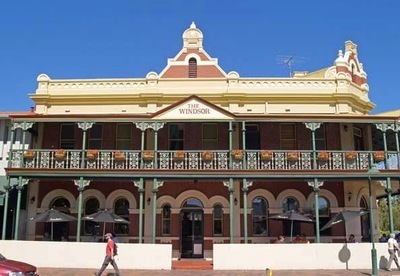 The Windsor is South Perth's historic hotel. Set near the Swan River foreshore, it is the perfect place to spend a lazy afternoon. Enjoy Sunday drinks and a meal with friends, inside, in a shady outdoor area or in the garden. You could even go down to the river, after drinks, to check out the sunset. The view from the river foreshore is amazing with city landscape. Situated right on the corner of Brisbane and Beaufort street, the Brisbane Hotel is a classic urban pub with a dynamic atmosphere. It has 2 small bars inside with a pool table area and big screens for watching sports. There is also an outdoor area which is very nice, with lots of plants and a fish pond. It's a very nice place to be after work or for afternoon drinks. This place was originally just a hotel. Now, it has become well known around Perth and its pub is very popular among locals, and with more and more non local visitors coming for a drink. Even though the bar has become popular I think this place is a venue to watch live sport rather than catching up with friend. The atmosphere and vibe there must be great when a match is playing.